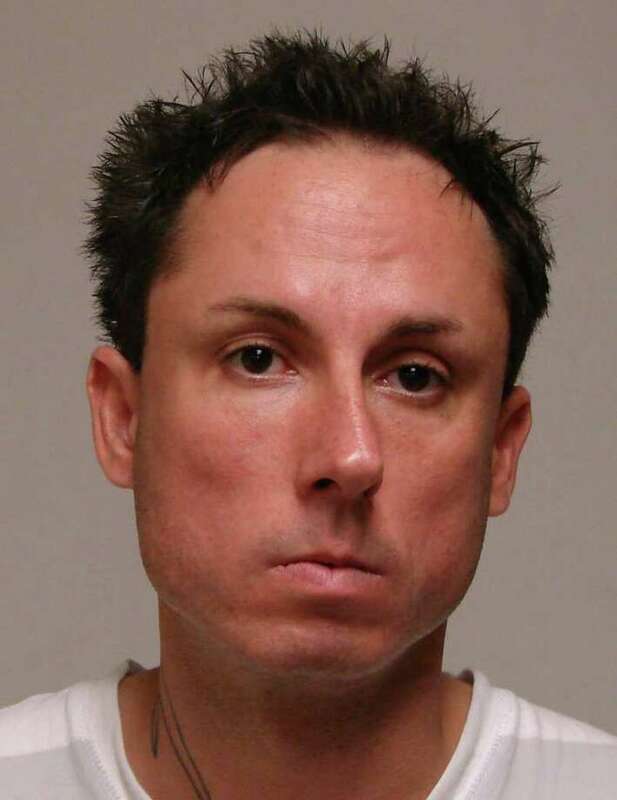 Christopher Message, 34, of Valley Road, was charged Thursday by Fairfield police with arson and burglary in connection with a series of fires at vacant houses in town. Eyewitness accounts from neighbors and the first officers and firefighters on the scene at fires in four vacant Fairfield houses in less than a week's time helped lead police to Christopher Message, the son of a retired Fairfield police officer, who was charged late last Thursday with setting the blazes. Message, a 34-year-old Fairfield resident who is also a former EMT and volunteer firefighter, was charged with three counts of first-degree arson and two counts of first-degree burglary. Police Chief Gary MacNamara said the initial charges stem from the three early-morning blazes Thursday and said further more charges will be filed for fires set early Sept. 5. "We had some witness accounts after the Chatham Road fire (on Sept. 5), they were vague but we did have some accounts as to a possible vehicle in the area at the time and a description of a potential suspect," MacNamara said of the challenge facing investigators. "Again, it was vague and not a lot to go on at the time.."
Then after the three fires Thursday morning, he said, some neighbors of the Cornell Road -- where a house suffered the most severe damage of the three set that morning -- reported descriptions of a suspect similar to what police had received earlier in the week after a Chatham Road house was set on fire twice. Those tips, combined with evidence recovered from the four torched houses, as well as a shed, according to MacNamara, pointed to Message, who lived in the Stratfield area, where all but one of the fires broke out. "Interviews of the first responders and the witnesses led us to believe Mr. Message may be involved," he said, and during interviews with detectives, police said Message confessed to setting all six fires. Message was a longtime resident of Valley Road, MacNamara said, adding that at the time of his arrest he was unemployed. Message previously had worked as a barber, according to court records. MacNamara said police detectives are still exploring Message's motive for the fires. "At this point we don't believe there was any specific reason he selected those locations other than that they were empty. He didn't have any affiliation with the structures he burned," the chief said. Police also believe Message acted alone, and say they believe the continuing investigation is likely to link him to arsons in other communities. "Arson is a major investigation and requires a lot of work and a lot of time," MacNamara said. "We conducted a thorough investigation that still continues, however, he is the individual responsible for all six fires in Fairfield." Before Message was charged late Thursday in the case, neighbors of the fire-ravaged homes expressed apprehension that an arsonist could be on the loose in town. Several people were hesitant to provide their names when interviewed, fearful of possible retribution. A Cornell Road resident, whose property and house roof were littered with some ashes from the fire at 53 Cornell Road, said were it not for quick-acting firefighters, along with overnight rain, other nearby properties might have been damaged. Police officers or firefighters stood guard at each of the torched houses Thursday afternoon, before the arrival of the state fire investigation unit, which employed an accelerant-sniffing canine that was reported to have made "hits" identifying ignition materials at the burned properties. As Officer Michael Paris stood guard across from where the scene of the Cornell Road fire, a police detective walked through nearby properties -- including the edge of the Brooklawn Country Club's golf course --looking for clues. The fire appeared to have originated in the garage, where some of the most serious damage was inflicted. However, the fire consumed what was once an enclosed porch between the garage and the main structure. The connecting porch helped spread the fire to the main structure. Ali Skelton, of Lilayln Drive, was walking down Cornell Road with a friend when she came upon the charred home she heard about earlier in the day. "The good news is that no one was living there, but the fact that there's a pattern is upsetting to me," she said, and added that the Chatham Road home, which burned twice, is behind her residence. "Everyone's greatest asset is their home, " Skelton said. "And that's been taken away from (these owners)." With an empty house on her street, and homes in the neighborhood close together, Skelton admitted prior to Thursday's arrest that she was a little worried. She also wondered if the arsonist knew for certain if the houses were vacant. "If someone's house were for sale, I would never assume it's vacant," she said. Over at Woodridge Avenue, a group of firefighters stood watch with a large fire engine directly in front of the fire-and-smoke-ravaged home. While the structure's exterior did not look nearly as bad as the Cornell house, Deputy Fire Marshal Joe Cennamo said most of the fire damage was in the kitchen. Smoke also damaged many more rooms. Woodridge Avenue resident Jeff Taylor said he was awakened around 3:30 a.m. Thursday by what he thought was UI crews doing post-storm repairs. However, when he looked outside, he saw a nearby house on fire. Taylor and his wife Lynn said the residence has been occupied by college students over the past couple of years, the most recent being a group from Sacred Heart University. "They left around July," Lynn added. The Taylors said they owned another home in Fairfield that was vacant for approximately 11 months, but finally found a buyer about a month ago. While there was a common thread to all the homes that were targeted, Jeff Taylor said that didn't ease his concern. "You never know where they might hit next," he said. A neighbor of the Chatham Road house that burned -- twice on Sept. 5 -- was reluctant to provide her name Thursday before an arrest was made. In fact, she was hesitant to say anything, as comments and coverage, she said, only serve to fuel the arsonist's ego. However, she did say if all the arsons are related, the person is "getting braver and bolder." The home at 50 Chatham Road was occupied as recently as three months ago, according to the neighbor. A police officer keeping watch at 1300 North Benson Road -- where trees in front of the half-circle driveway served to shield curious eyes from damage caused by another set fire -- said that residence had been vacant at least a year. Spray-painted graffiti on a wall to the right of the front door was the word "John," and a symbol for anarchy was painted just above it.